Whether you are new to the Italian market or have had a subsidiary or stand alone business here for a period of years you will begin to notice that certain institutions such as banks, notaries and government bodies will require additional documentation relating to your company. These requests may also come from foreign institutions who may need to authenticate the existence and/or owners of your Italian company for commercial purposes. As a limited liability company (Srl) or Joint Stock Company (SpA) you may have requests for certificates of good standing, apostilles, copies of company documents. Additionally, these documents may need to be notarised and/or legally translated. Set up in Italy can do this and more. Certification refers to the confirmation of certain characteristics of an object, person, or organisation. This confirmation is provided by a form of external review, education, or assessment. At the moment one of the most common types of certification is professional certification, where a person is certified as being able to competently perform his/her professional duties. 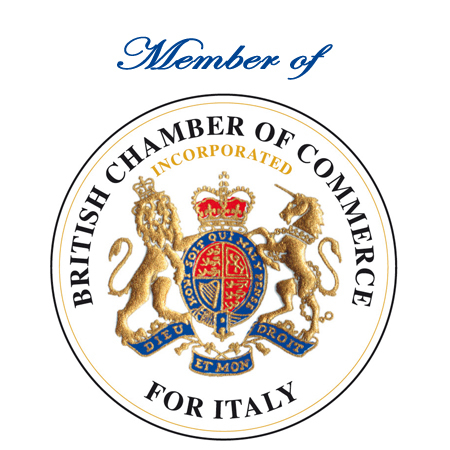 Within our network we closely work together with an experienced lawyer registered with the Italian law society and bar, who will certify the required documents for you. We make sure this is done quickly, effectiently and at a competitive price. Please email or call us today to discuss your requirements so that we can put together an individual quote specifically for your needs. Within our network we closely work together with an experienced notary who will notarise and certify the documents for you. We make sure this is done quickly, efficiently and cost effectively. We can quickly and efficiently provide these documents to you with the appropriate certification and apostilles where appropriate. Please get in touch with us today to discuss your requirements so that we can revert quickly on a quote for you. For administrative purposes you may be required to provide an official translation of company documents. Within our network we closely work together with an experienced certified translator, who will translate the documents for you. Upon translation these documents will be reviewed and approved by the local court to prove their legal status. We ensure that this is done quickly, efficiently and competitively. The only thing you have to do is to send us the documents to be translated and we will do the rest! Please email or call us today to discuss your requirements so that we can put together an individual quote specifically for your needs! If you are in a hurry please scan the pages that you wish to be translated and we will give you an online quote shortly upon confirmation of receipt. Known as a Codice Fiscale, the Italian fiscal code card is the tax code card in Italy. This code is alphanumeric, includes 16 characters and serves to identify, unambiguously for tax purposes, individuals residing in Italy irrespective of their residency status. As added value we can also offer the opportunity to receive your personal Italian fiscal code card (Codice Fiscale). Due to our broad network in Italy we are able to offer you a range of legal and tax services which you may need in the course of you or your company's stay in Italy. Communication is the key in finding out more about your individual requirements. Fill in your enquiry below.